There were many things during the Civil War that were SO different from other wars in American history. Through this article I hope to relay to you four little known facts. Sorry there are not any pictures the format wasn’t working. 1. The CSS Hunley was a Confederate submarine, though not the first submarine in history it was the first one to engage and sink a war ship. 2. There was only one women receipiant of the Medal of Honor from the Civil War era and it was Dr. Mary Walker, A surgeon in the Union Army. 3. The last battle of the Civil War was a Confederate victory. The battle of Palmetto Ranch Texas ended with the Federal Army driven from the field. 4. Robert E. Lee had two relatives in commanding positions in the Confederate Army. 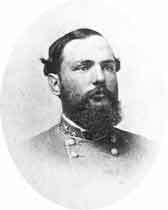 Fitzhugh Lee, Robert’s nephew was a cavalry colonel and Rooney Lee, Robert’s son, was also a cavalry colonel. There are always those historians who will try to theoretisize what the world, the war, and the country would have been like had the South won. I tend not to join in on such conversations because I find it foolhardy to engage in such things because God has had a plan for history since the beginning of time and everything will work out according to his plans, but on this occasion I think I will give my views on the subject. There would have been many changes to this once great country had the war gone in a different direction. I think it would have started like this. The election of 1864 between Lincoln and McClellan would have been won not by Lincoln but by McClellan. This in and of itself would have had a great impact upon the war torn United States. If McClellan had been elected he would have lobbied for a stoppage of the war. McClellan was an antiwar Northern Democrat, he was already lobbing for a peace treaty with the Southern politicians. I think this would have gone through because at this point in the war the South was just looking to finish it I think rather then win it. So this would have been a big what if. Another what if and a very popular one at that is the subject of what if Chamberlin had not held his line on Little Round Top during the battle of Gettysburg. My opinion and the opinion of many others is that the army would have been almost completely lost. 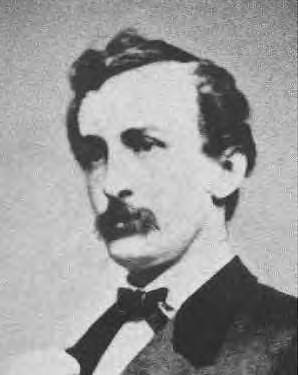 Chamberlin was on the extreme left of the entire army. Had he been removed the flank would have been rolled up like a cigar and the army could have been routed on their own territory. This would have caused major demoralization in the army and also in the hearts and minds of the people. If the Union Army had suffered such a defeat on their own home soil they would have been more then likely willing to lay down their arms. The North also would have lost a great deal more men then they already had in the fierce fighting of the previous two days. These are just two of the many what ifs discussed in most historical circles and I have given my honest opinion on them. Feel free to comment!! on February 2, 2010 at 1:59 am Comments Off on What If…? “I have often looked at that behind the president without being able to tell whether it was rising or setting. But now I… know that it is a rising…sun.” This is what Benjamin Franklin said about George Washington’s arm-chair at the Pennsylvania state house. What does that say for our country today and what did it say during the Civil War? I think it was saying that good times are ahead for the country. Our Country has gone through some very hard, and trying times but she made it through them all by turing back to God. That is the only way to make our country a rising sun again. The Civil War was a very trying time but it brought the country to its knees. America turned to God during the Civil War and many, many lives were saved through Christ. Christ is what made our country a rising sun and is what will keeping always rising. on October 18, 2009 at 2:47 am Comments Off on Rising or Setting? As I was watching the 9th tape of the Ken Burns Civil War series I heard something that made me really think. John Wilkes Booth was a coward among cowards as we all know. He refused to join the Confederate Army because of that reason alone, but he got so angry over the fact that the south had surrendered that he went and shot the President. Why didn’t he fight if he thought the war was so important? And why did he kill the man who would have given the south fair terms for reentry into the union once they did lose? How could he be angered at something he didn’t even have a part in? That just blows my mind. How could a man with such passion for his country do something so stupid. Did he not see the consequences that would come from his assasinating Lincoln. I think he knew he would be killed for committing such a hanous crime but I don’t think he knew what it would do to his beloved south. What possessed his mind to do such an idiotic thing?